This article is the second in a series for Oral Health. The first article was published in the August 2015 issue, with the title “Surgical Risk Factors in Implant Dentistry: Influence on Failures and Bone Loss”. Table 1 in this article, organizes risk factors in implant dentistry into four categories. These were introduced in the August 2015 article together with the concept of “Evidence Based Dentistry” and a representative case presentation. This category of risk factors includes but is not limited to patient related: a) complaints, expectations, psychological suitability and limitations (e.g. clinical limitations and financial limitations), b) history of periodontitis (especially aggressive periodontitis) and c) smoking, systemic disease and medications. A patient’s history of periodontitis and in particular aggressive periodontitis needs to be determined from the information gathered from both the initial patient interview, previous dental records as well as from the diagnostic information gathering phase. There have been several articles studying this issue. Readers are referred to a meta-analysis published in 2014.1 A conclusion can be drawn from this review that a history of aggressive periodontitis poses a negative risk factor for and should be taken into account and included as part of the “informed consent” process and treatment. The patient’s dental, medical and habit history and in particular current conditions that could impact upon the outcome, need to be questioned and evaluated at the initial patient interview and where indicated investigated in more detail. Outside consultations may be needed to determine if any pre-treatment precautions need to be taken or if treatment is absolutely contra-indicated. Material Risks to Material Information”, February/March 2016 issue. Short term failure is best described as those failures that occur before the final teeth are made. It could be immediately following the surgery , during the first few months of healing or even a year later. Placing an implant is a surgical procedure. Provided the dentist follows aseptic/sterile surgical techniques and precautions the chance of infection is extremely low, even when we consider we are working within the mouth which is full of bacteria. Patients are generally covered with antibiotics as an added precaution. Discomfort following surgery is usually mild to moderate and lasts for 1-4 days on average, and of course depends on the specific procedure being done. Make sure to ask your dentist what is a normal expectation for yourself. Generally speaking, if you have lost teeth, you are a potential candidate for dental implant surgery. However, there are certain conditions and diseases that can affect whether dental implants are right for you – this is where the importance of a proper medical assessment comes in. A skilled dental surgeon will know the osseo-integration process (how the dental implant anchors to the jaw bone) and be skilled in proper surgical techniques. In those cases healing is often very comfortable and uneventful. If not, the site is more prone to swelling, pain, infection and possible failure of the implant. This becomes more critical if the area is slightly deficient in bone volume or is very dense….overheating of the bone will cause necrosis (bone death) and the implant will likely fail to integrate. Dental implants must remain immobile for a long enough period to allow osseo-integration to occur. The analogy I give my patients is similar to when we break a bone in our arm or leg. The fracture is immobilized by use of a cast because if there is movement the bony fracture will not heal. Implants are very similar. The study evaluated rates of dental implant loss and peri-implantitis as the result of dental implants. The research out of the University of Gothenburg aimed to evaluate the correlation between dental implants, implant loss and peri-implantitis, a destructive infection that affects the tissue surrounding dental implants and can result in loss of supporting jawbone. Researchers also explored the relationship between periodontitis and rates of implant loss. The study consisted of 4,716 randomly selected participants that had all had dental implants in 2003-2004. Researchers sent out a survey and received dental records and charts for 2,765 patients in the study. 596 patients were also examined at a nine-year follow-up appointment. The results found that almost eight percent of patients with dental implants experienced the loss of at least one implant within that timeframe. “Altogether, 7.6 percent of patients had lost at least one implant and 14.5 percent had developed peri-implantitis with pronounced bone loss,” reported Dr. Jan Derks, a researcher at Sahlgrenska Academy. 50 percent of patients presented with some signs of peri-implantitis, but only 14.5% were considered to have moderate to severe implications (equating to a crestal bone loss exceeding 2 mm). The 7.6 percent that had lost an implant showed an average loss of 29 percent of bone support. Interestingly, the rate of implant failure did not differ between the general practice and specialty practices. “22% of all patients in the present sample received their implants in a general practice setting, and implant los in this subgroup was not different from outcomes in patients treated in specialist clinics,” the study stated. “Peri-implantitis appears to develop within a few years and then progresses quickly at an accelerating pace,” said Dr. Derks. He hopes that the information gained from the study can help dentists minimize the risk of peri-implantitis and implant loss. Dental implants have been accepted as a viable treatment option for completely and partially edentulous patients.1,2,3 Further improvements toward the successful osseointegration of dental implants have involved modifications to both surface topography and surface chemistry.4 Implant design (i.e., types and dimensions), surgical procedure, implant placement time, and time prior to loading have been shown to influence implant survival rates.5,6,7,8. Therefore, risk factors associated with implant failure have become a frequently discussed topic in recent dental research. Among patient factors, male gender, smoking, autoimmune disease, and penicillin allergy have been found to trend toward higher failure rates.9,10 In contrast, short implants in mandibular posterior sites have been found to have a survival rate of 100%, while the same was not true for implants in the maxillary posterior position, wherein 6-mm implants had a survival rate of only 87%. 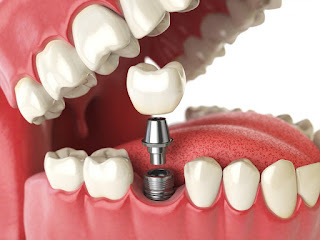 Therefore, in this retrospective study, we aimed to evaluate dental implant outcomes and to identify risk factors associated with implant failure over 12 years via dental records of patients attending an educational institution. In most cases digital x-ray machines require less radiation to capture the same image than a traditional film x-ray unit. Digital portable dental x rays machine also has a drastically reduced exposure time in comparison and do not require as many scans to capture the necessary view. This means patients are exposed to less radiation and a more pleasant office visit experience. You’ll end up with shorter wait times and happier patients. With more advanced digital imaging technology, scan times continue to shrink, and you can see almost immediately if you captured what you need to see. We can’t forget the burden the chemicals needed to develop x-ray film place on the environment. Imagine all those harmful chemicals lying around. What happens to them after you dispose of them? No matter “how safe” you are told the disposal process is, they don’t just go away, nor does their impact on the environment. Film portable dental x ray unit cost you valuable time. Film radiography is an entire process alongside the actual scan. There are specific steps for film to be developed. With digital radiography all of these steps can be done away with, freeing you and your staff up to see more patients. Think of it this way. It takes around 10-18 minutes for a traditional portable dental x ray unit to be produced, from initial scan to development. Let’s pretend you average 8 patients a day, and assume all images come out perfectly every time with no need for rescan. That means in total, your practice has spent anywhere from 1.5-2 hours in simply developing and production of x-ray films. That’s potentially 1-2 more patients that your practice could see! Of course this also does not include the time it takes to compute these images. 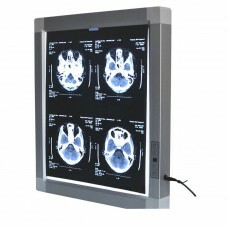 Analog x-ray imaging systems are workhorses that continue to produce quality images. However, just as camera lenses have advanced rapidly in the past decade (think about the quality of your camera phone!) so too have digital x-ray sensors. They continue to become sensitive enough to reduce exposure times, while still capturing an image that can be enhanced and altered to best display exactly the information you need to diagnose your patient. Whereas for film, though their quality is still perfectly adequate, there’s no way to enhance images. It can take several scans before a doctor can confidently and accurately make a buy dental equipment online plan based on traditional analog film x-rays. And as we’ve already pointed out above, rescanning with a film x-ray is much more of a hassle than a digital x-ray. Making an adjustment and rescanning is simple and hassle free. Rather than sending patients away while x-rays develop, dentists can almost instantly see their digital images, cutting down on the time your patients impatiently sit around in the office. The convenience of capturing another image right then and there results in much happier and satisfied patients, eliminates any potential guesswork, and rapidly improves practice efficiency by streamlining the entire portable dental x rays machine process.